Accenture will conduct an off campus drive for hiring of fresh Engineering graduates from 2014 batch on the basis of eLitmus score. Posted in All Branches, Any Stream, Apply online, Electrical, eLitmus, Freshers, Job After Btech, MCA, Off campus recruitment, Software Development, Without Experience. Tags: accenture elitmus 2014, accenture jobs 2014, Accenture Off Campus, Associate Software Engineer, recruitment drive accenture on November 15, 2014 by Lalit Joshi. 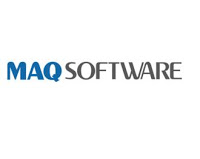 MAQ Software | Associate Software Engineer | Fresher Jobs | Apply Before: 17 July, 2014. MAQ Software is a digital marketing and a technology solutions company that helps customers reach their markets effectively on time and on budget. Founded in 2000, the company employs over 300 people in three engineering centers located in Redmond and India (Hyderabad and Mumbai). Our solutions use advanced Business Intelligence features of SQL Server 2012, the latest cloud computing trends including Windows Azure and the latest form factors such as Windows Phone 8. Posted in Apply online, Computer Science, Freshers, IT, Job After Btech, MCA, Mtech, Without Experience. Tags: 2014., Apply Before: 17 July, Associate Software Engineer, Fresher Jobs, MAQ Software on July 13, 2014 by kavita joshi. Posted in Apply online, Computer Science, Electronics and Communication, Electronics and Instrumentation, Electronics and Telecommunication, Freshers, IT, Job After Btech, MCA, Without Experience. Tags: 2014., Associate Software Engineer, CGI, Fresher Jobs, Last Date: 22 April on April 18, 2014 by kavita joshi. CGI will conduct an off campus recruitment drive through eLitmus for hiring of BE/BTech(CS/IT/Electronics)/ MCA 2013 freshers. Posted in Apply online, Computer Science, Electrical and Electronics, Electronics and Communication, Electronics and Instrumentation, Electronics and Telecommunication, eLitmus, Freshers, IT, Job After Btech, MCA, Software Engineering, Without Experience. Tags: Associate Software Engineer, CGI elitmus drive, CGI recruitment Drive, elitmus 5 April 2014 on March 29, 2014 by Lalit Joshi.